The best heating and cooling company Medina, Ohio has to offer is Jennings Heating and Cooling Company. Since 1931, we have been offering Northeast Ohio residents expert HVAC services at affordable prices. We have a fully trained staff of mechanics and business professionals that can handle your heating and air conditioning needs. When you are in need of home heating in Medina to ensure you have a warm home for the fall and winter, the trained technicians at Jennings Heating and Cooling Company can take care of your every need. We are the one furnace repair company in Ohio you can trust for all of your home heating needs. All of our technicians are specially trained, and receive additional training whenever there are changes in heating and cooling technology. If your air conditioner is broken or no longer functioning properly, let Jennings Heating and Cooling Company take care of your home cooling needs before you start sweating the heat. We offer a wide range of air conditioning products and services to meet your every need. The necessary parts will always be available with radio dispatched trucks that are fully loaded with thousands of parts sent to your home. Jennings Heating and Cooling Company is proud to offer a full range of home heating and air conditioning repair and service any time that fits your schedule. Price quotes never change, which means that if you need service and repairs, you will receive a quote, and that will be the final price you end up paying, with no surprises when you get the final bill. Did you know that there are more than 100 components in your furnace and air conditioner and more than 50 things that can go wrong? Some are just a nuisance, some are hazards and some are major repairs. 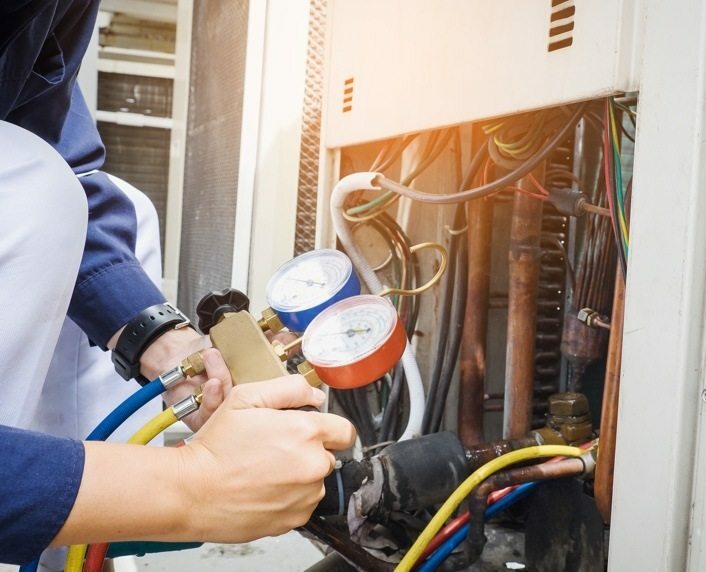 Regular heating and air conditioning service can eliminate unsafe operating conditions, increase your comfort level and insure the most benefit from your utility dollar. Jennings Heating and Cooling Company can service your furnace and air conditioner and extend the useful life of your equipment. Learn more about our Rewards Club. If you are searching for a reliable heating and cooling repair company, look no further than the heating and air conditioning repair Medina, Ohio residents have trusted for 86 years. You will most certainly get the highest quality of workmanship and materials available, at a price you can actually afford, with no hidden costs tacked on at the end.